Jen Jackson joined the Mitchell Institute as Education Policy Lead in 2019. Jen has wide-ranging experience in education policy and research, with a particular interest in education systems, and the research–policy interface. At the Victorian Department of Education and Training, Jen worked in early childhood policy and regulation, as well as in system-wide strategic policy management roles. 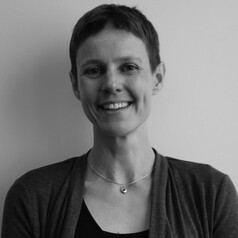 As a Research Fellow at the University of Melbourne and Victoria University, Jen’s work focused on measuring how well education systems meet the needs of all learners, including contributing to several reports for government on measurement of school performance; reporting on system-wide indicators, from early childhood to tertiary education; and co-ordinating international data collection for the International Study of City Youth. Jen has also worked at the Australian Council for Educational Research, the Parliament of Victoria Education and Training Committee, and Curriculum Corporation (now Education Services Australia). Jen has Masters Degrees in Public Policy (Massey University, NZ) and Education (University of Melbourne), and a PhD from Victoria University. Jen’s doctoral research used large-scale survey data to map diversity in the Australian early childhood workforce, and examine its implications for improving equity in early childhood policy and practice.